I’ve driven in a lot of countries now and I’ve written a number of posts about driving in certain places and what to expect, though Provence came with it’s very own set of unique challenges. 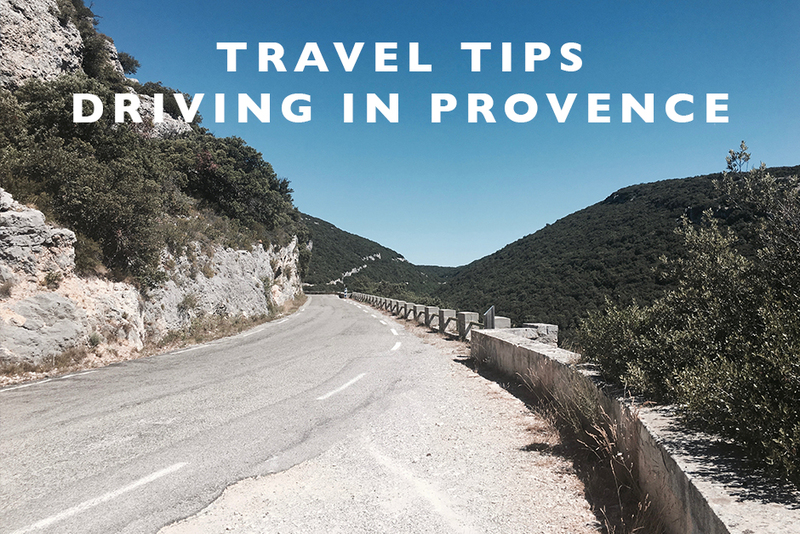 While overall driving in Provence was totally fine, there are certain things that it would have been helpful to know beforehand. So if you’re headed to this beautiful area in the South of France, here’s everything you need to know about driving in Provence! Rent an automatic when you do your booking if that’s what you’re used to. If you drive an automatic car at home, rent an automatic car in France. While sometimes it’s a little bit more expensive as they don’t have as many, it’s well worth it for the peace of mind. There are a ton of hills and tight spaces in Provence and you’ll be super glad you’re not trying to remember how to drive a stick in the harder driving conditions. There are some places I don’t buy the extra insurance for car rentals as most of my credit cards have coverage, but there are some places that it really is well worth the small amount of extra money. Iceland for example is one of those place to always buy the insurance due to the conditions you’ll be driving in. Provence is another one of those places. The roads are super narrow and often one lane width where you’ll be passing with inches to spare. Just in case, I would highly recommend getting the basic insurance coverage here. Roads are narrow and often one lane. Expect narrow roads once you get off the highways and most end up not much wider than one lane roads. You’ll have to pass slowly and carefully. The highway from Nice to Provence has a ton of tolls, so be ready for that. Go to the lanes that have signs showing coins, as those lanes have spots to pay if you don’t have a pass. And make sure you have cash with you as many didn’t take cards. While most cars in Europe are on the smaller side, make sure your rental is as well. The tiny town in Provence don’t have a lot of parking and the spots they do have are tiny, so you’ll want a small car. You’ll also be better off on the super narrow roads. Use GPS on your phone but also follow the signs. We used GPS on our phones on this trip to get from one place to another and always had service, but the roads in Provence are actually also really signed well. So if you get lost or don’t have signal, just follow the signs. Country roads take longer than you think. We found that the driving times that Apple Maps gave us took longer on the country roads as they are tiny and narrow, and you might encounter traffic or not be able to pass. You’ll also find yourself wanting to stop and take photos along the way, so give yourself a cushion on your timeframe.